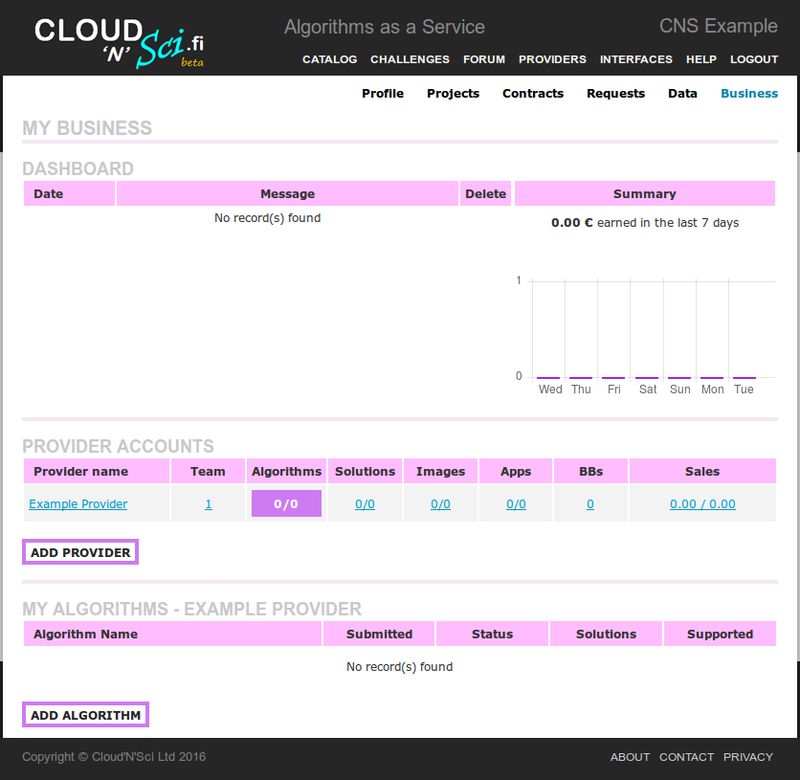 This is a step-by-step guide of how to introduce a new algorithm to the CNS marketplace. Step 1. Go to your Business page and select 'Algorithms'. Step 2. 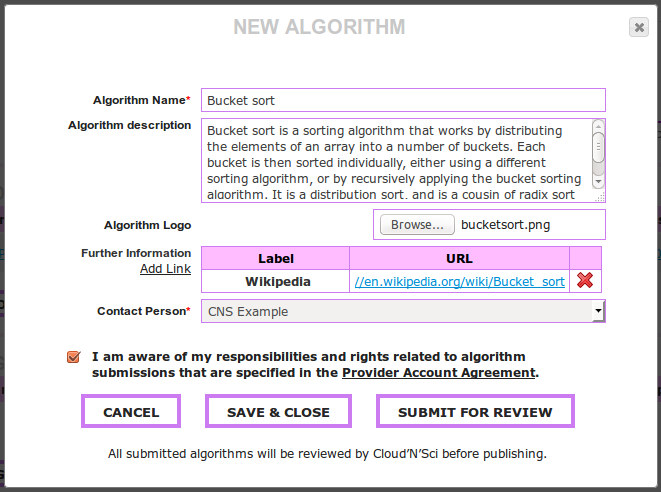 Fill in your algorithms information and submit for review, or save it for later submitting. To create a solution that implements your algorithm, see our Creating a solution guide.